1. 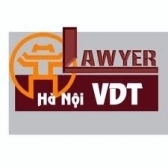 This Circular provides grant, re-grant, amendment and supplement, extension, withdrawal of certificate on registration of import and export rights of foreign business entities without a presence in Vietnam. 2. This Circular applies to foreign traders in countries, territorial regions which are members of the International Trade World WTO and countries, territorial regions which have bilateral agreements with Vietnam about import and export rights and other organizations, individuals relating to import and export of foreign business entities without a presence in Vietnam. 3. This Circular shall not adjust business operation at border markets, border-gate markets, markets in border-gate economic area of trader of countries with common border line.